The Sahrawi dissident movement “Khatt Achahid” and the Polisario are waging a pitched battle about the right of representativeness of the Tindouf camps populations. The Polisario filed on June 23 a request for accession to the Geneva Conventions of 1949 that will, if endorsed by the Swiss Federal Council, enable its militiamen, when wounded or sick in times of War, to benefit from the rights stipulated in the Convention. However, Khatt Achahid, which does not take the same view, asked the Swiss government not to recognize the Polisario’s status as the representative of the Sahrawis settled in the Tindouf camps in Algeria. “Khatt Achahid”, which was set up eleven years ago after a split within the Polisario Front and which is led by dissident Mahjoub Salek, aka “Jafaf”, decided to refer its dispute with the Polisario to the Swiss Federal Council. 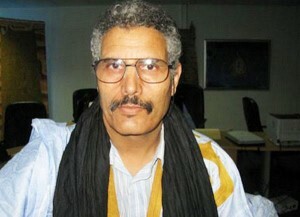 It has recently dispatched a delegation to Berne to convince the Swiss Federal Council that the current Polisario leadership is not, as it claims, the “legitimate representative” of the Sahrawi people and to call the Swiss government “to respect the Geneva Conventions and their Additional Protocols,” said the leader of the movement, Mahjoub Salek. This founder member of the Polisario is currently living in self-imposed exile in Vitoria, in the Spanish Basque Country, after he severed all ties with the Polisario and its unmovable leader Mohamed Abdelaziz in July 2004. Salek also called on all the signatories of the Geneva Convention to regard his movement as the main interlocutor for the defense of the interests of the Sahrawi populations in Tindouf. He accused the current Polisario leaders of “crimes against humanity” and denounced their bad faith as they want to perpetuate the Western Sahara conflict to protect their own, personal interests. It remains to be seen, however, whether the Swiss Federal Council will or will not endorse the Polisario’s request since the separatist Front does not have a regular army and therefore the status of soldiers as universally defined, cannot be applied to its armed militiamen.